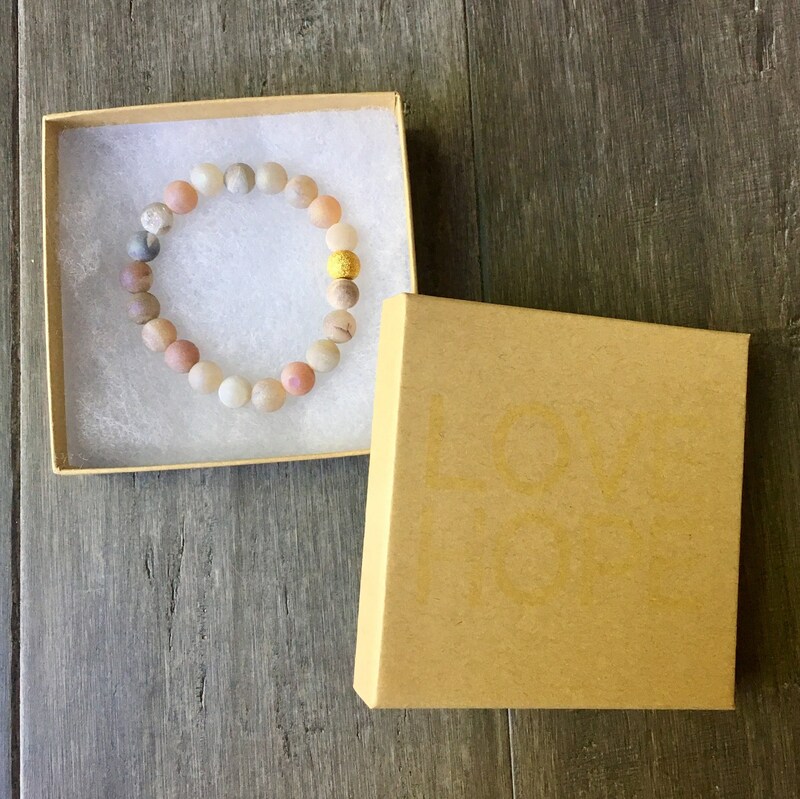 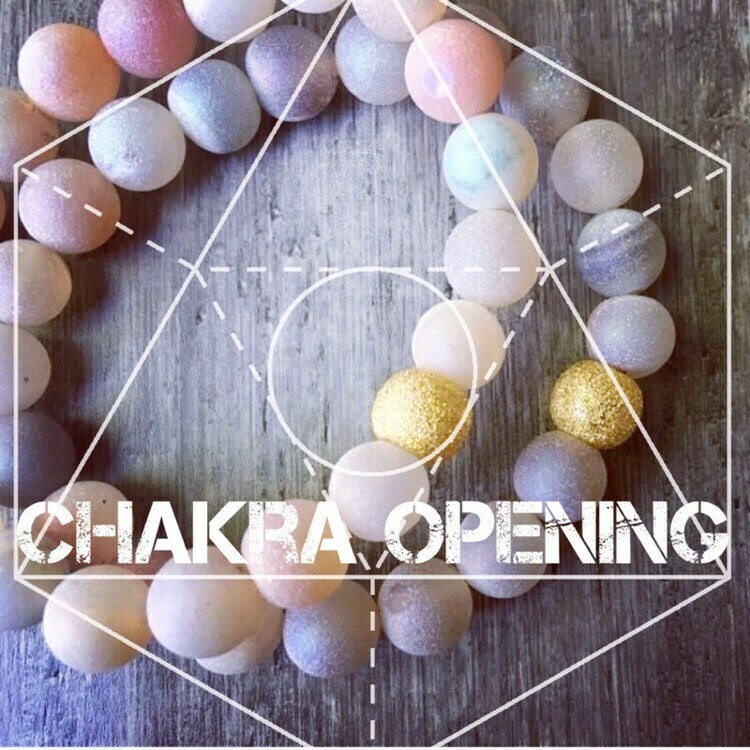 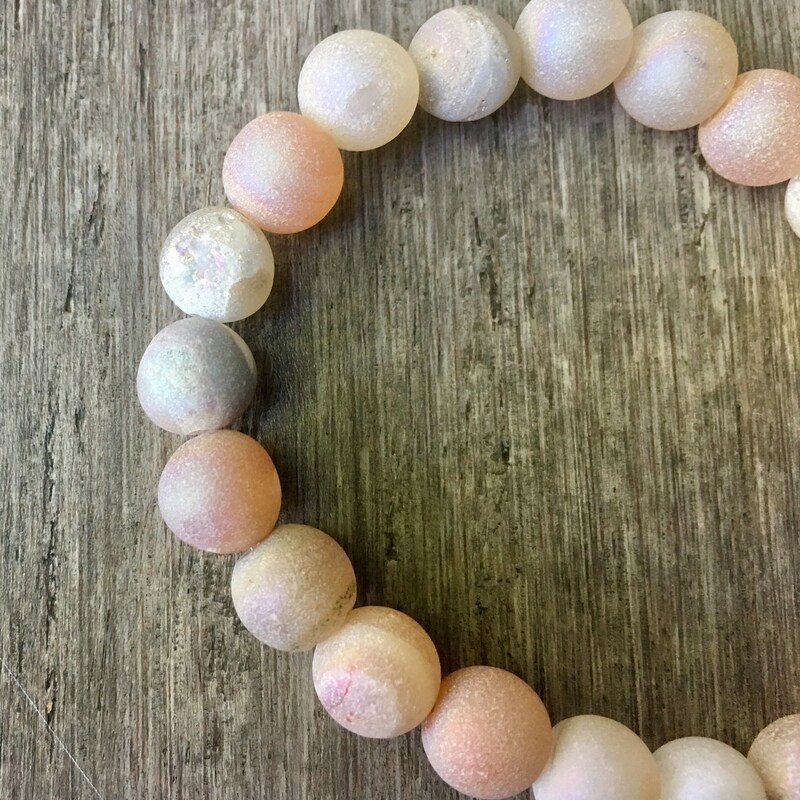 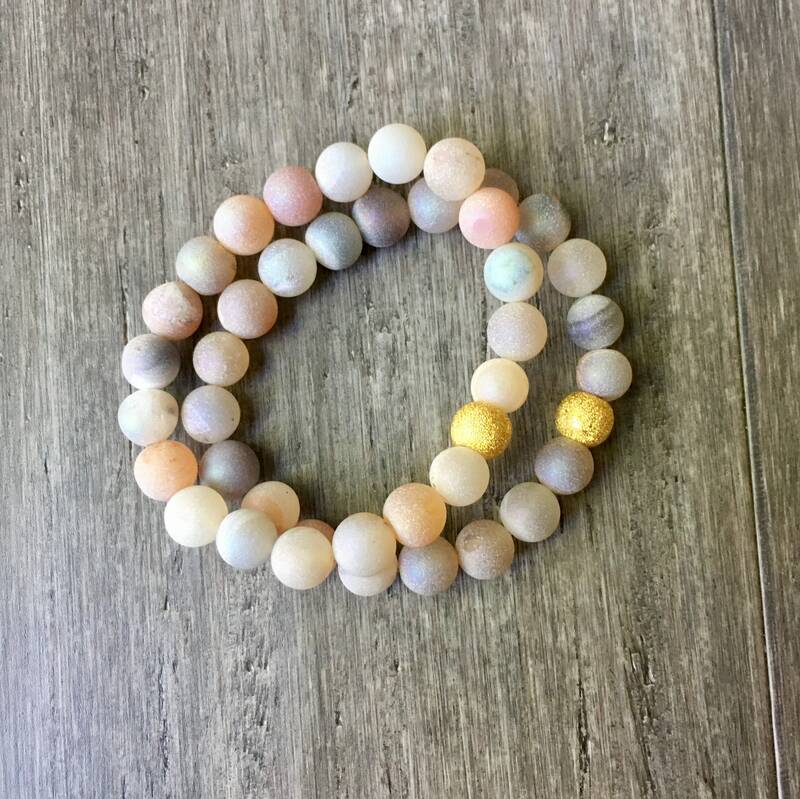 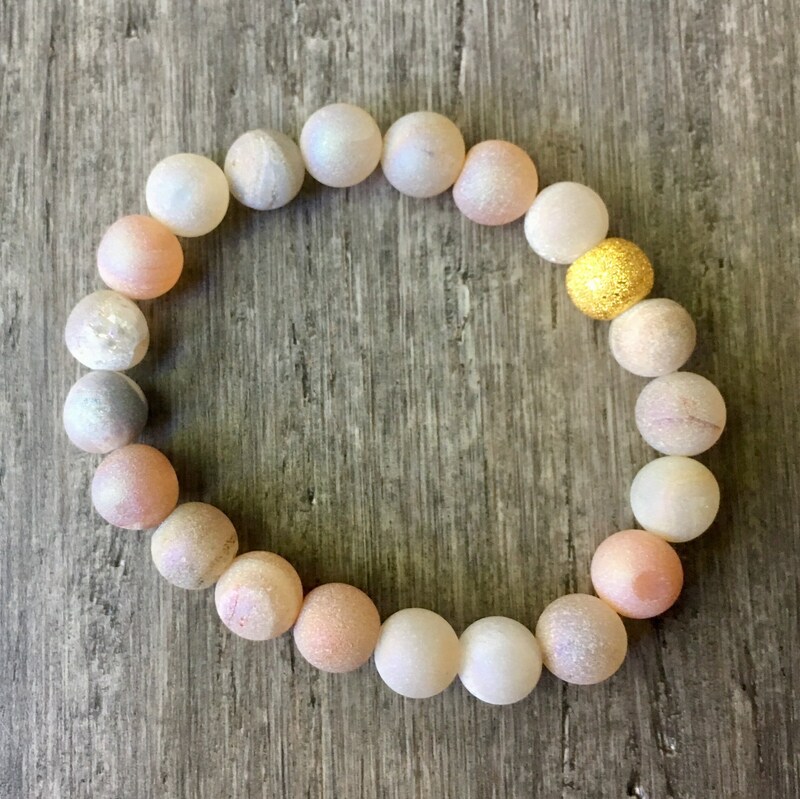 Open up blocked Chakras, Relax and Re-energize with our Druzy Agate Mala Bracelet. 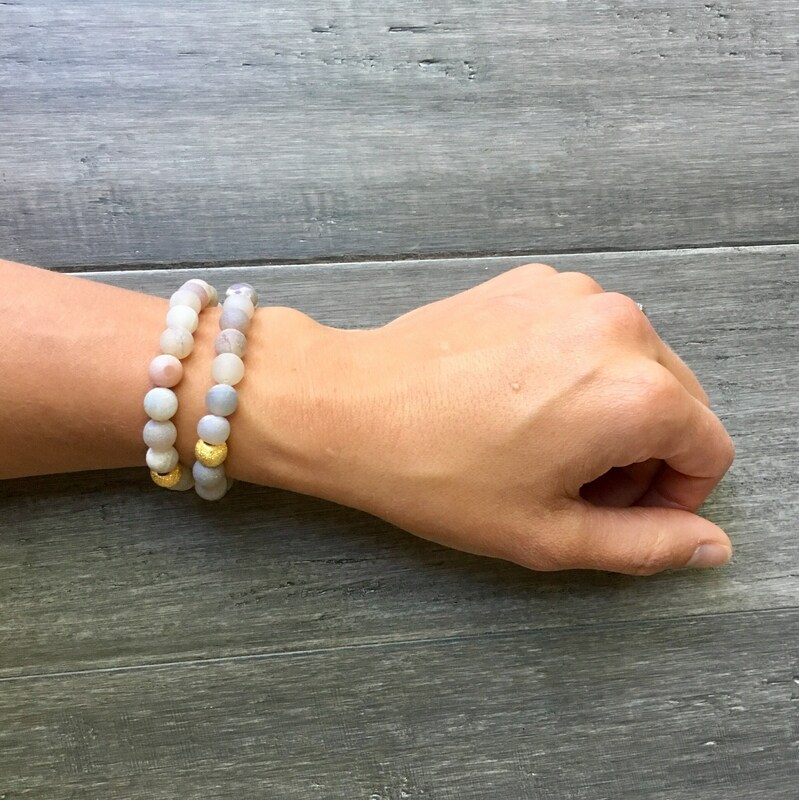 Connect to your inner light. 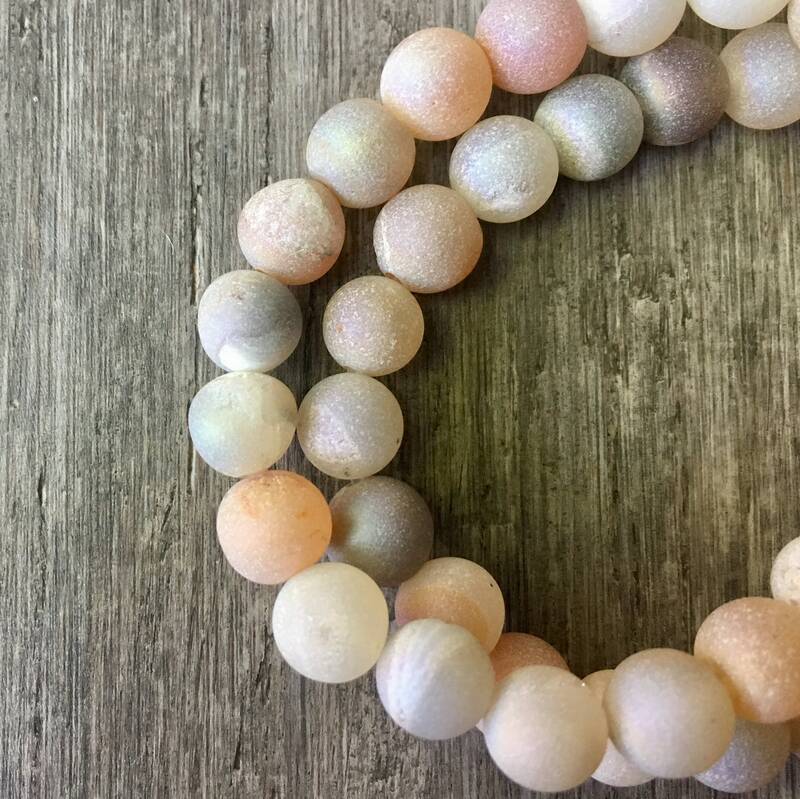 Druzy Agate is a gemstone that purifies and amplifies the body's natural healing properties and strengthens ones spirit. 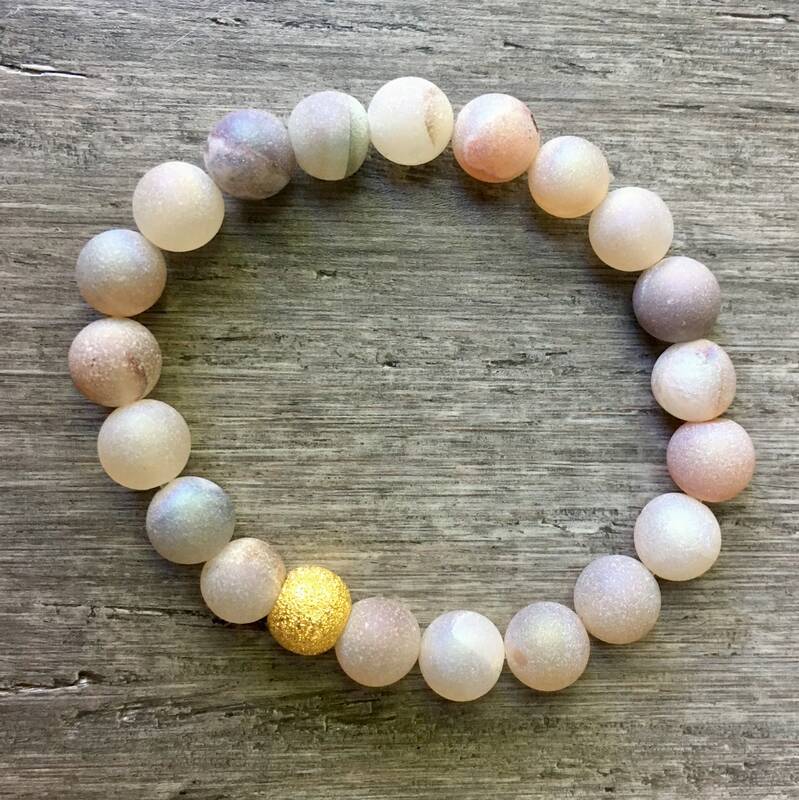 Druzy Agate also helps one to relax, helping to reduce stress levels, while at the same time it can re-energize the body and be emotionally uplifting. 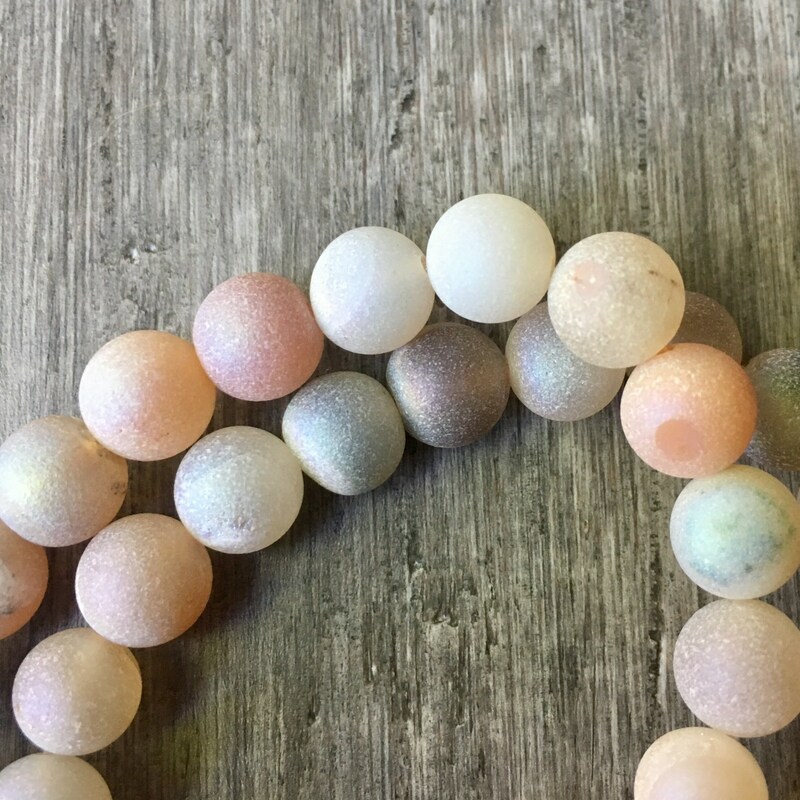 Psychics believe that Druzy Agate can help to open blocked energy and assist its wearer find his or her own inner light. 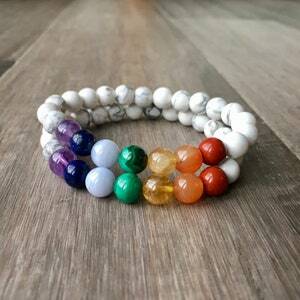 It can also help one to connect on all levels to their particular higher power. 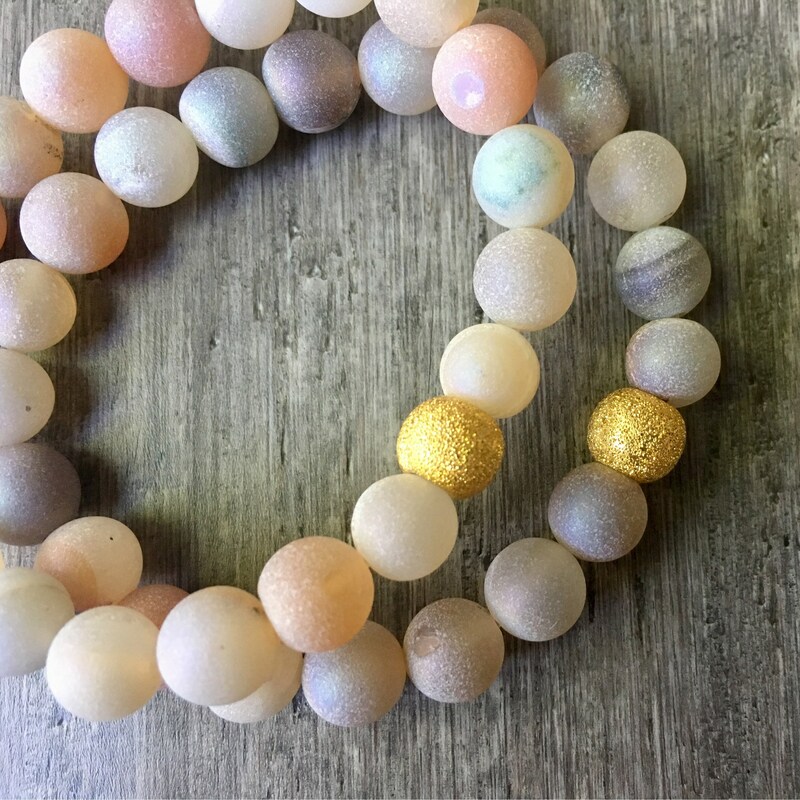 Druzy also has healing properties. 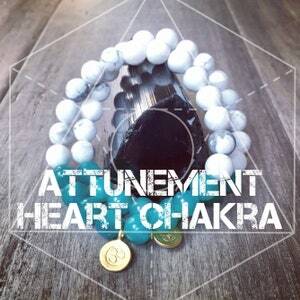 It strengthens the circulatory and immune systems and purifies the reproductive system. 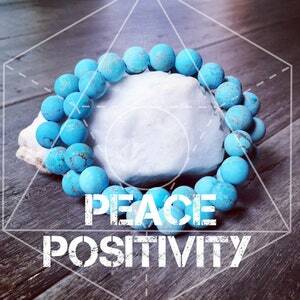 Some believe that it can also be useful in treating infection.